Black people killed in police shootings were more than twice as likely to be unarmed, compared to whites, a new study finds. Whites were also found to be the most likely group to be armed in deadly police shootings. Using data compiled by the Washington Post, four researchers were able to offer insight into the 990 reported fatal shootings by police officers in 2015. Over a quarter of those dead, 258 of them, were black. The study, published in the Criminology & Public Policy journal in January, stressed that the “overwhelming majority” of people killed by police were armed, but whites were the least likely to be killed while unarmed. 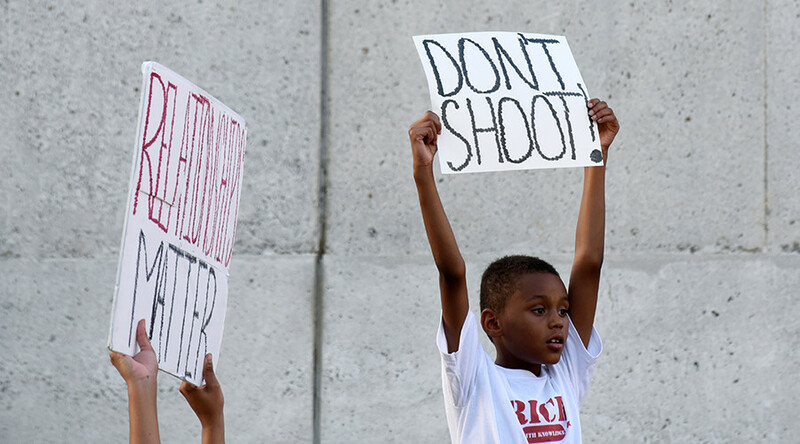 Fifteen percent of blacks killed in 2015 were unarmed, while just 6 percent of whites were unarmed. Eleven percent of other minority groups were weaponless as well. The study also found that white people fatally shot by police were more frequently engaged in attacking someone. While 24 percent of black people and 31 percent of non-black minorities were not assaulting anyone when they were shot, the same can only be said for 17 percent of whites. The information was released with a plea from the researchers to demand that government require national data on police shootings. While many police departments do report civilian deaths by police officers and instances of the use of force, it remains largely voluntary to issue reports and some reports have been found to include glaring omissions. They argue that these potential issues underscore the importance of further research and government data. “Such an analysis will allow for a more informed dialogue about the extent and nature of civilian deaths at the hands of police in America,” the report read.